Premium optical crystal award with golf ball motif. 11in tall. 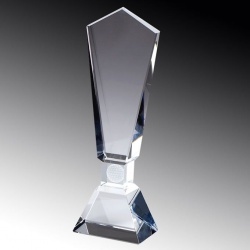 Premium optical crystal award with golf ball motif. 9in tall.